The latest Jurassic World trailer features some new footage and a pretty interesting observation from Owen Grady (Chris Pratt). 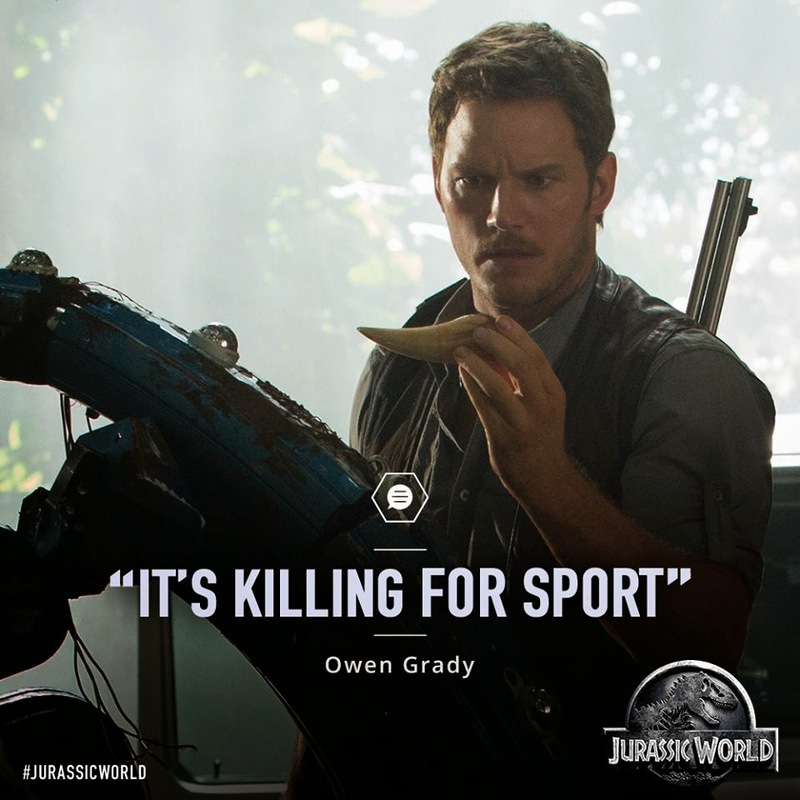 One dinosaur at the attraction is "killing for sport." Sounds like the game won't be limited to just other dinosaurs. Jurassic World hits theaters on June 12, and also stars Bryce Dallas Howard, Irrfan Khan, Nick Robinson, Ty Simpkins, and BD Wong.